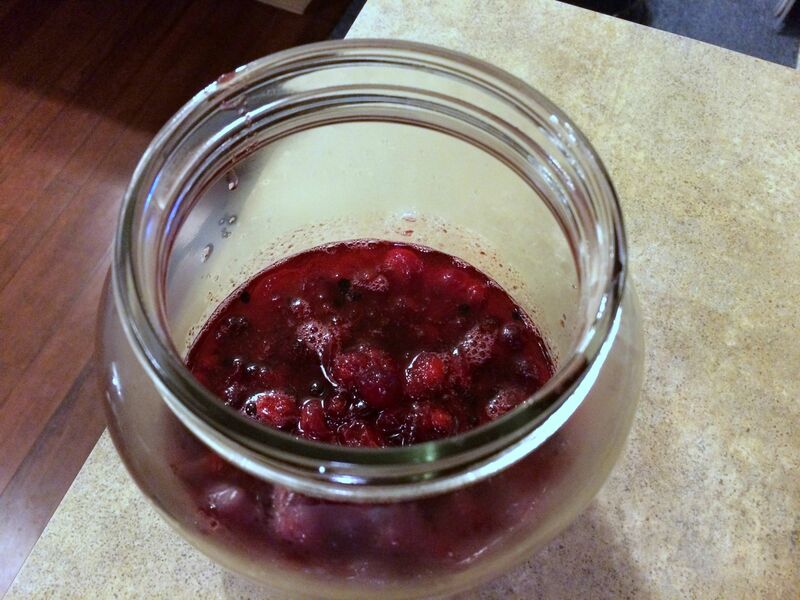 The Something Awful Forums > Discussion > Goons With Sporks > NICSA 17 Entry: In which I did, in fact, cranberry a thing. And learned that the whole getting pictures of everything thing is harder than it looks. Since the middle of October, I've been out of town every single weekend. It got to the point where I was seriously doubting my ability to get this done, but lo and behold I had today free! Some friends of mine are getting ready to move out of town this week, so I thought it was the perfect opportunity to poison them so they couldn't leave feed them while they were packing up. 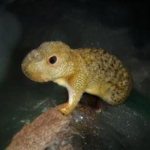 Apologies in advance for the picture quality; my camera lens has been faulty so these are all phone pics, although I tried to adjust them in post to make them less offensive. First up, the cocktail. Recipe lifted from here. 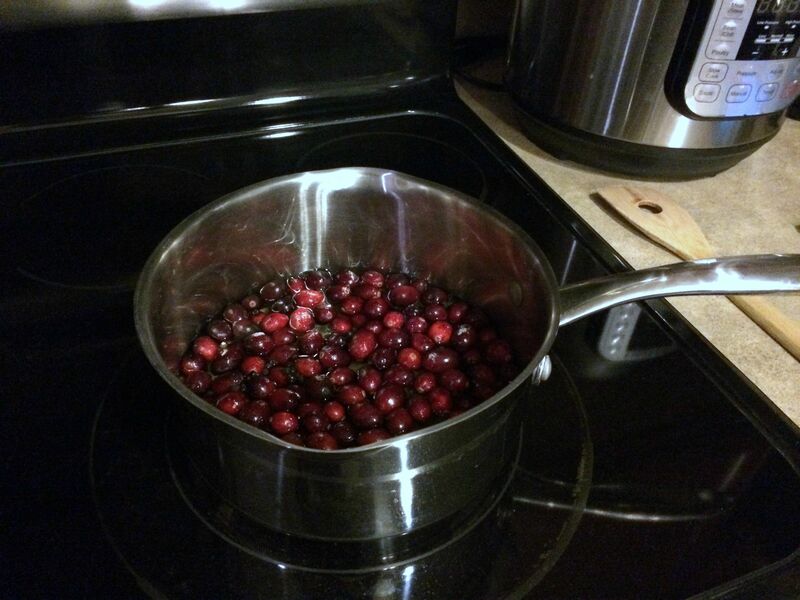 Start the shrub anywhere from a couple weeks early to the night before, putting cranberries, sugar, vinegar and slightly crushed black pepper into a pot and simmering it about ten minutes, until the cranberries pop open. Then dump the whole mess into a glass jar (repurposed kimchi jar, holla). Leave that poo poo overnight and then strain it in a fine mesh strainer (or fat seperator, whatevs). 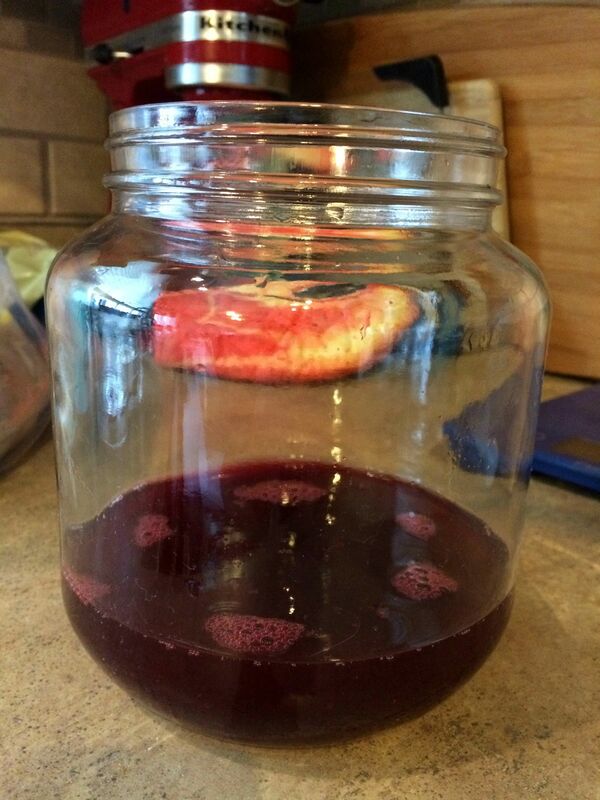 It comes out clear, tangy, and slightly syrupy. Just put it back into the rinsed jar and chill it until you're ready to mix up cocktails. This is where I failed to get pictures of the rest of the drink. 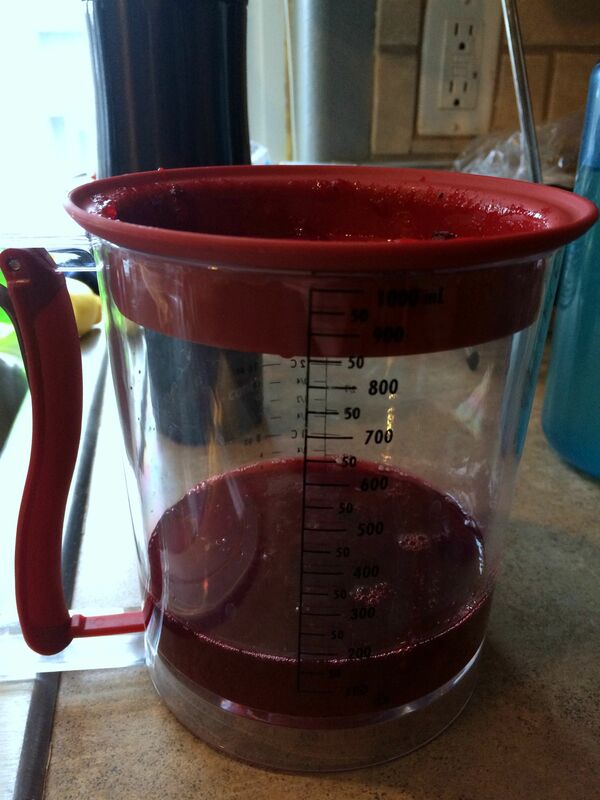 Pour a couple bottles of sparkling wine into a pitcher, dump in your shrub and shake some orange bitters in there. Gently stir. Pour into appropriate glasses if you're fancy or straight into pint glasses if you're us. Taste: Sparkly, sour, with a slight vinegary funk (but in a pleasant way). Or, as one of my friends put it, "I've heard of people taking shots of apple cider vinegar and wondered how, but I'd drink lots of these". Might actually be better suited to a summer drink instead of the beginning of Nebraska winter, but I'd definitely make this again. First up for this, take two roasts from the deer you and your wife shot last year (or any other way you want to procure your venison), salt liberally. Put out in the fridge for a couple hours while you peel apples for pie and watch Jessica Jones. 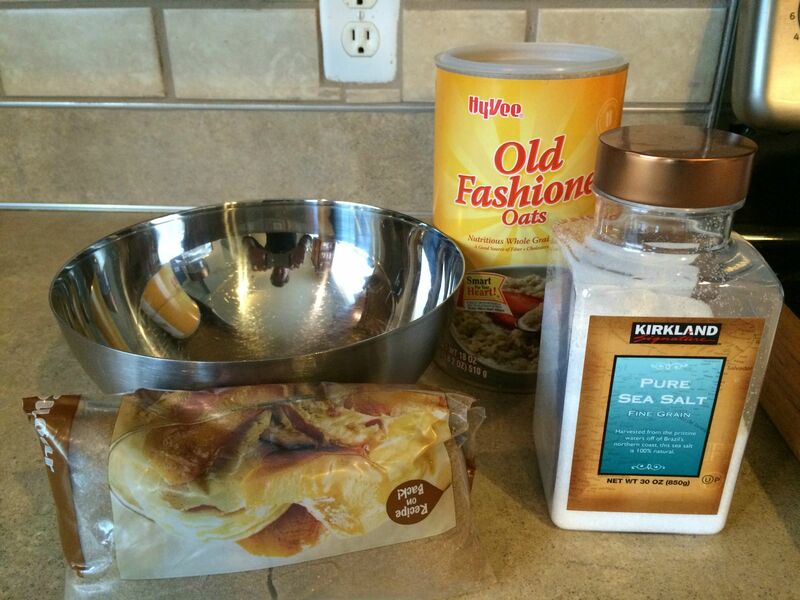 Pull out of the fridge, pat dry and season. I used salt/pepper and some Northwoods Fire from Penzey's. Roast at 425 until internal temp is around 120 (or 130 if you leave it in too long while bullshitting, like me). Pull out (heh) and let rest. 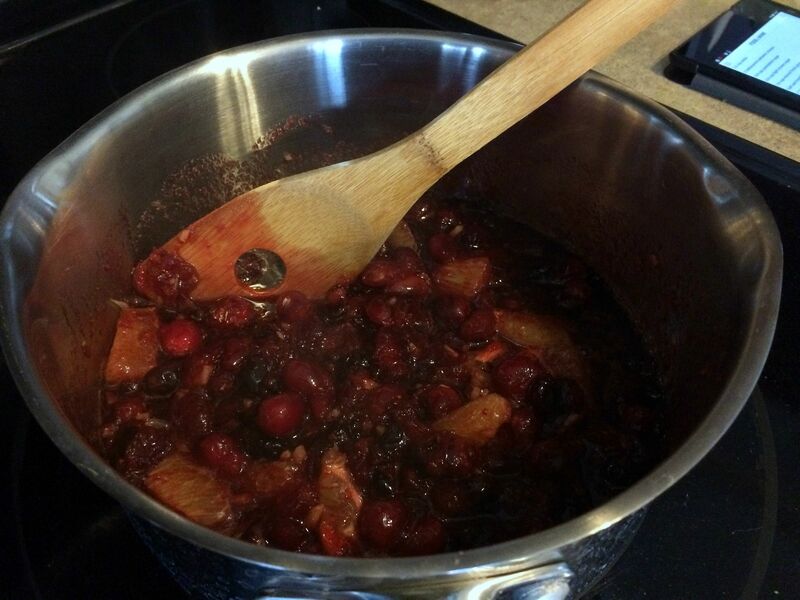 Sometime while you were letting the salt work its magic, combine a pound of cranberries, 1/4 cup freshly squeezed orange juice and 1/2 cup of water in a pot and let them simmer until popped. Add the supremes from the orange (cut into 1" pieces), a couple Tbs of balsamic vinegar, somewhere around a half cup each of white and brown sugar, and some diced ginger. Let it simmer another 5-10 minutes until you're done washing dishes or whatever and then pull off the heat and cool before serving. Actual recipe for the sauce is here, I halved it and didn't follow it exactly so much to the letter as to taste. Serve with the deer and whatever side you want, one of my friends made roasted sweet potatoes. I may have forgotten to take a picture until I went back for seconds, so my plate is all dirty. Sorry-not-sorry. Taste: I wish I had pulled the deer out ten degrees sooner, but it was still nice and tender. The heat from the seasoning was good with the sauce, which was good and didn't completely overpower the deer. I'd try this with anything that's even a little gamey. So I guess slab pies have been a thing for a while, but I hadn't heard about them until I went looking for something to do for this. I used sort of a blend of Smitten Kitchen's recipe (here) for the crust recipe and sort of the filling, and Serious Eats (here) for the topping and the bake. 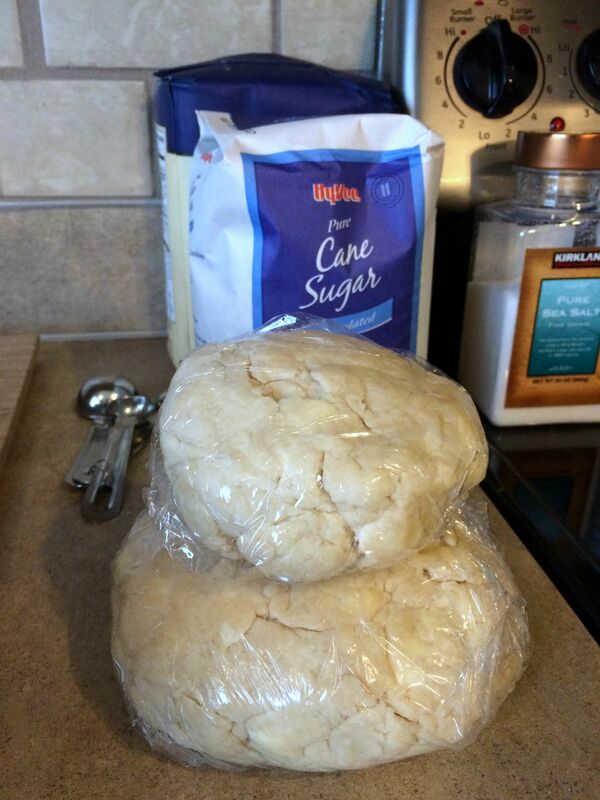 Start with your crust ingredients. 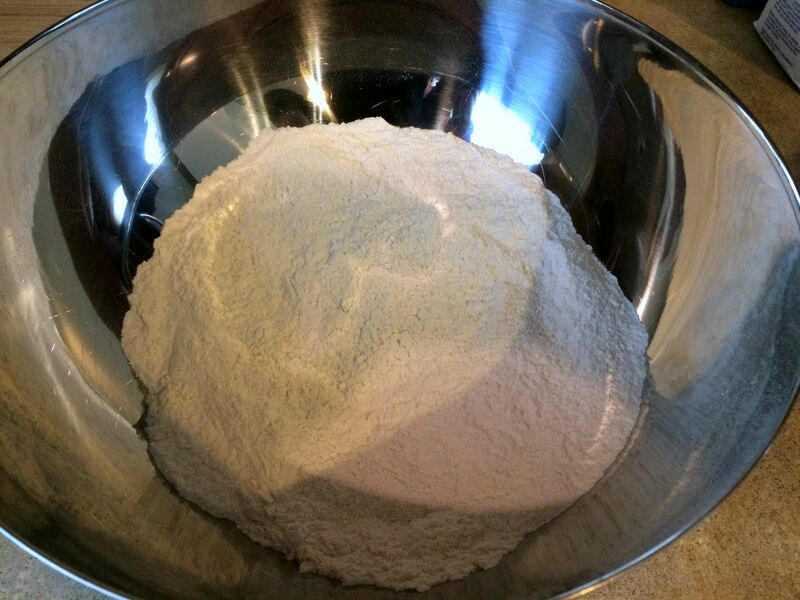 Wisk flour, sugar, salt into a big bowl. 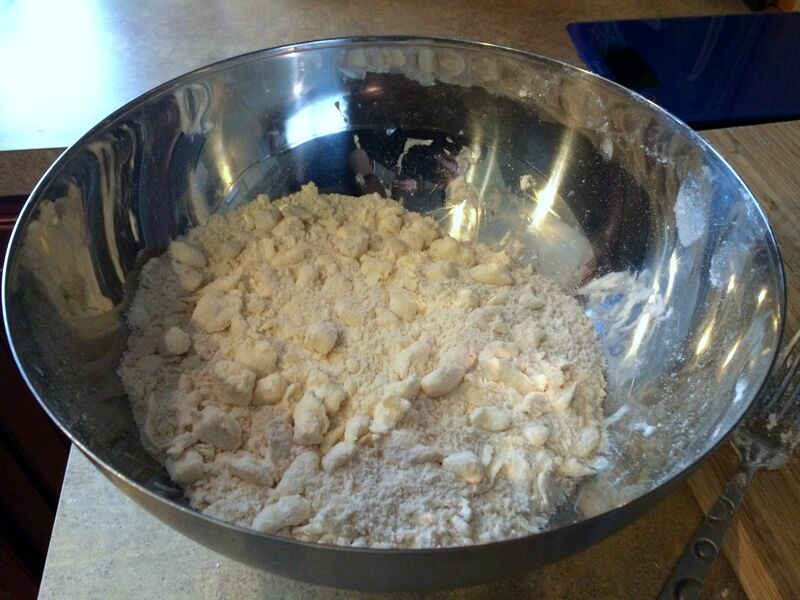 Cut your butter into small pieces, dump it in there and then cut it into the flour with a pastry blender/fork/whatever you can because you don't have a food processor yet. 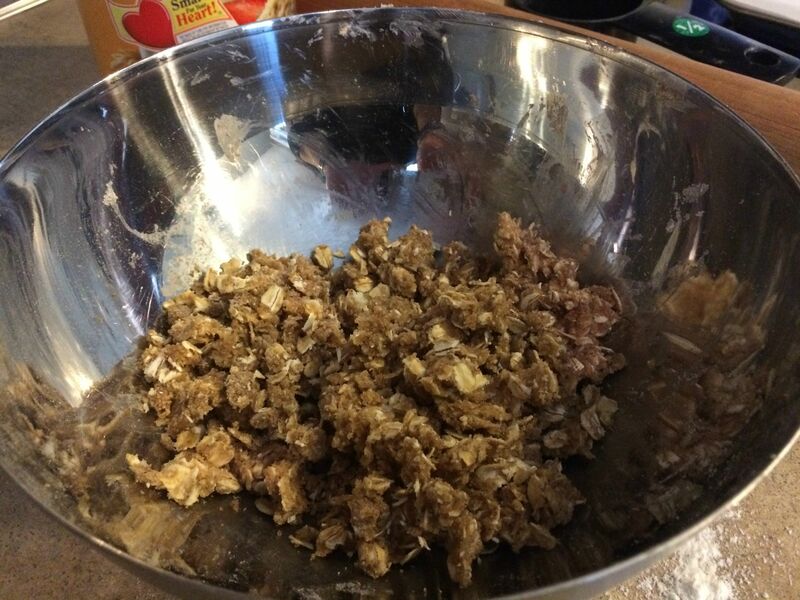 Pour in the water that you've been letting hang out in the freezer, and stir it in before kneading it a bit with your hands (not for too long, don't warm it up). 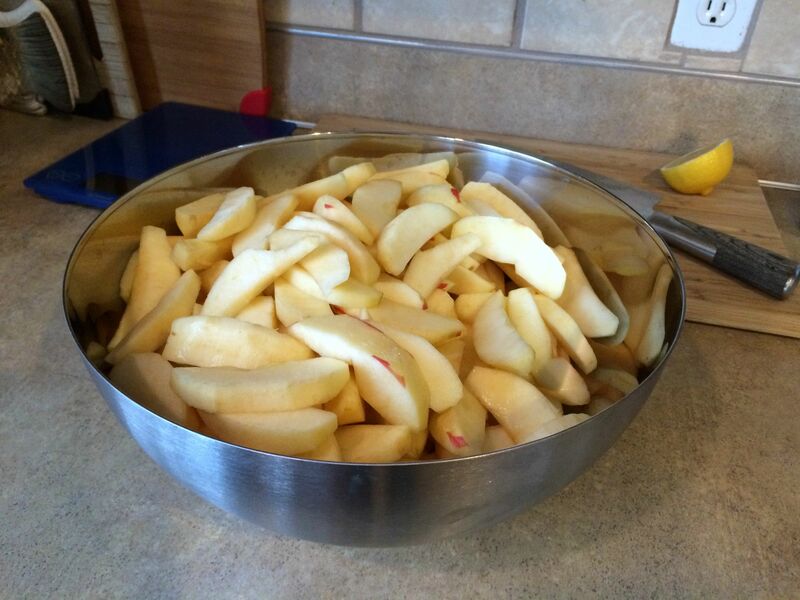 Divide it up into discs, wrap it up and chuck it in the fridge while you deal with the apples. 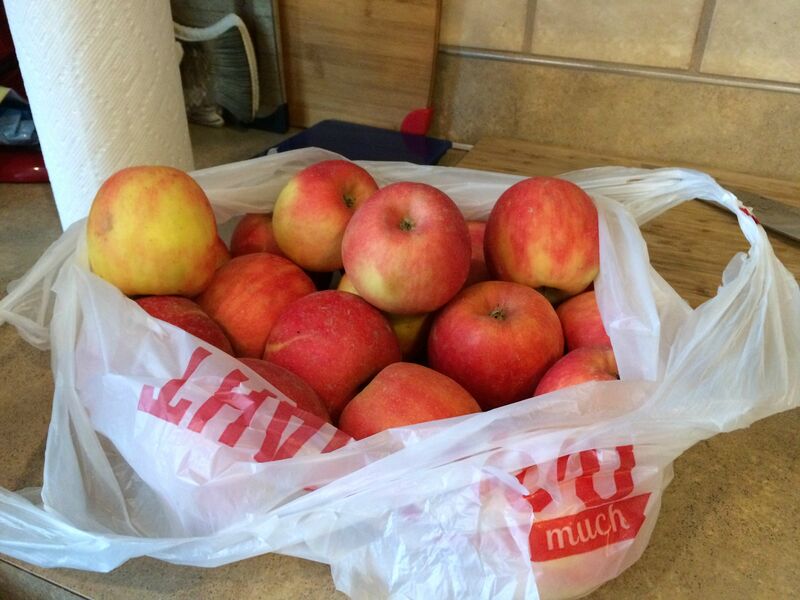 Good central Washington apples which your parents have kindly brought you from their backyard, half the country away. Throw some cranberries in the bowl (halve the big ones), toss the whole thing in sugar, cornstarch and spices, and set it aside. 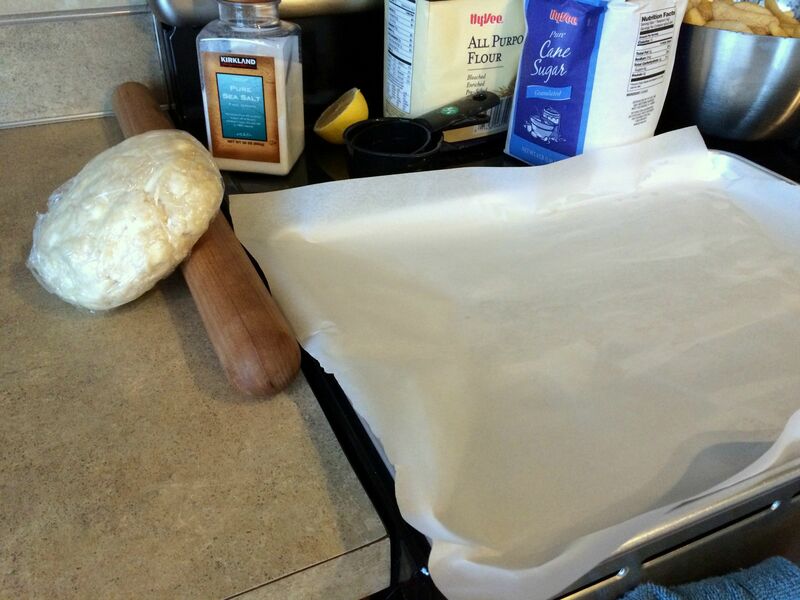 Line a half sheet pan with parchment and roll out your dough, make it pretty, and dump the filling in. 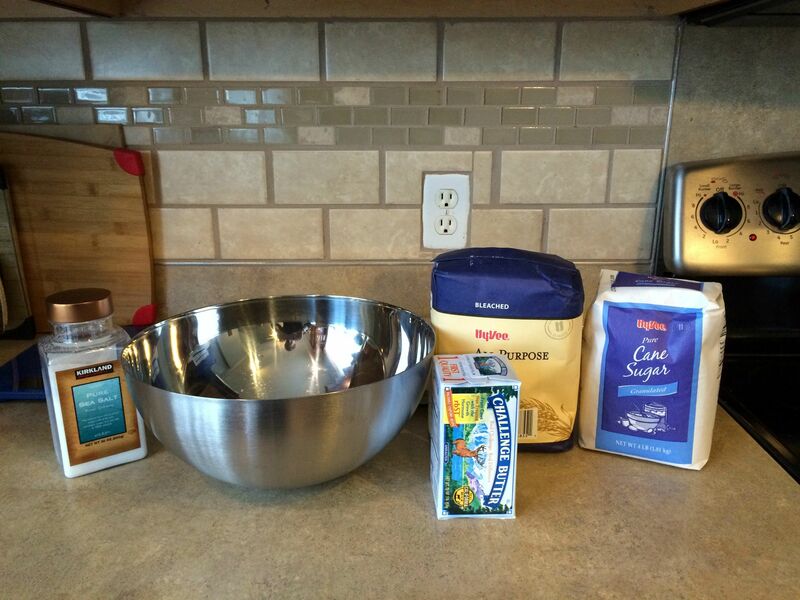 Topping ingredients. 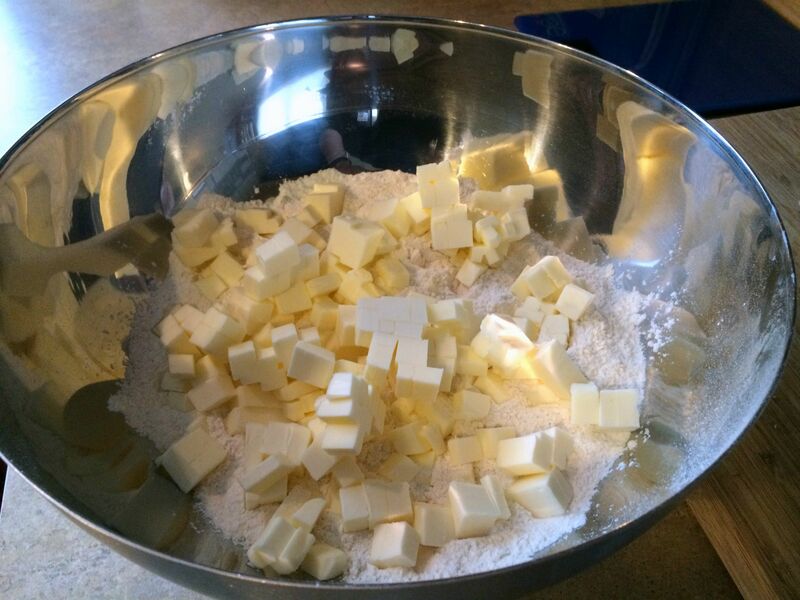 Dump those in the bowl with six tablespoons of diced butter, and mix that around until it's crumbly, like so. 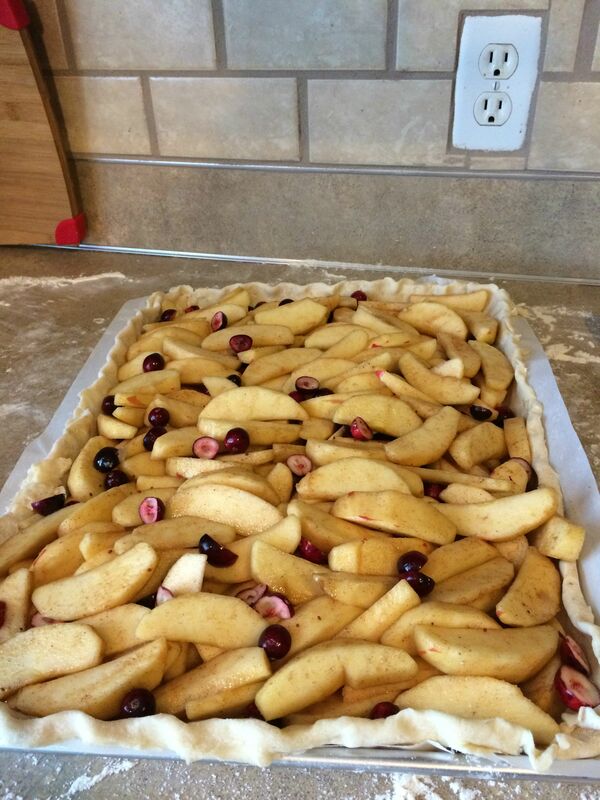 Refrigerate for a while until cold and crumbly, then sprinkle evenly over pie. Bake that poo poo at 425 for 20 and then 375 for another 50ish. Remove, let cool while you finish other stuff and eat dinner, and then eat a giant slice with whipped cream and coffee. 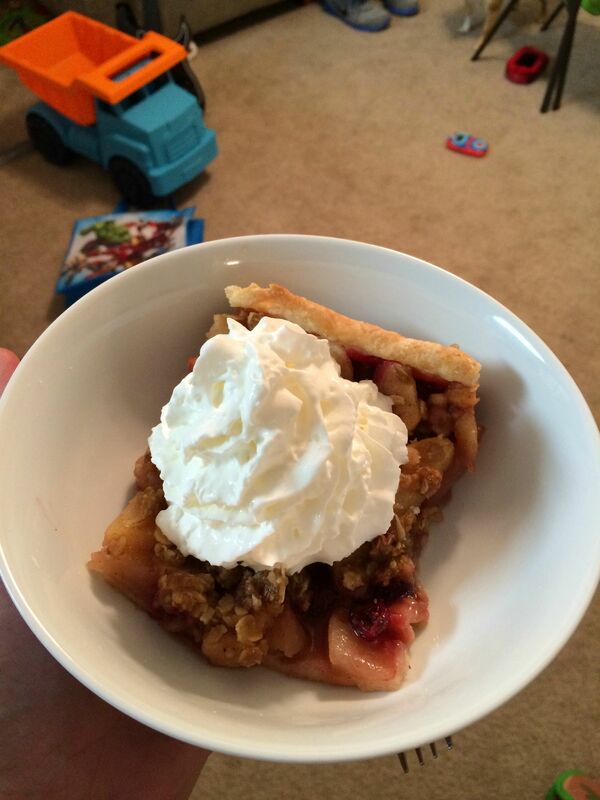 Taste: Probably the best pie I've ever made, but also the easiest. Good reviews all the way around and my buddy had to cut his kid off so he'd have some left for himself. Only thing I would change next time is to par-cook the cranberries just slightly, as they were a hair not tender enough. That crust recipe makes enough for two if you only do a bottom crust, so plenty left to experiment with! I'm really happy I found time to do this. I probably would have gotten more pictures if I had just cooked for myself like I was originally planning, but the opportunity to see my friends off was perfect and probably wouldn't have happened if not for this, so thanks SA! This all looks hella tasty. I should try to eat venison more. Nicely done. Remembering to take pictures is SUPER hard. I missed several that I wanted to take just because I got so into the process. Thankfully, my wife likes to play photojournalist when I cook. Lovely entry. Really great use of local (killed your own!) ingredients! I would eat the poo poo out of that pie, especially because I think I didn't see cinnamon anywhere near it? Love venison. Especially with a sweet sauce. 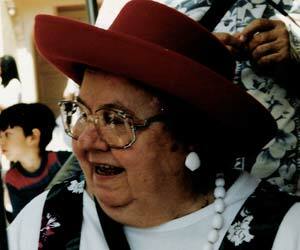 Typically I'd make a Cumberland Sauce, which I now think, thanks to you, could be done with cranberries. Looks great. 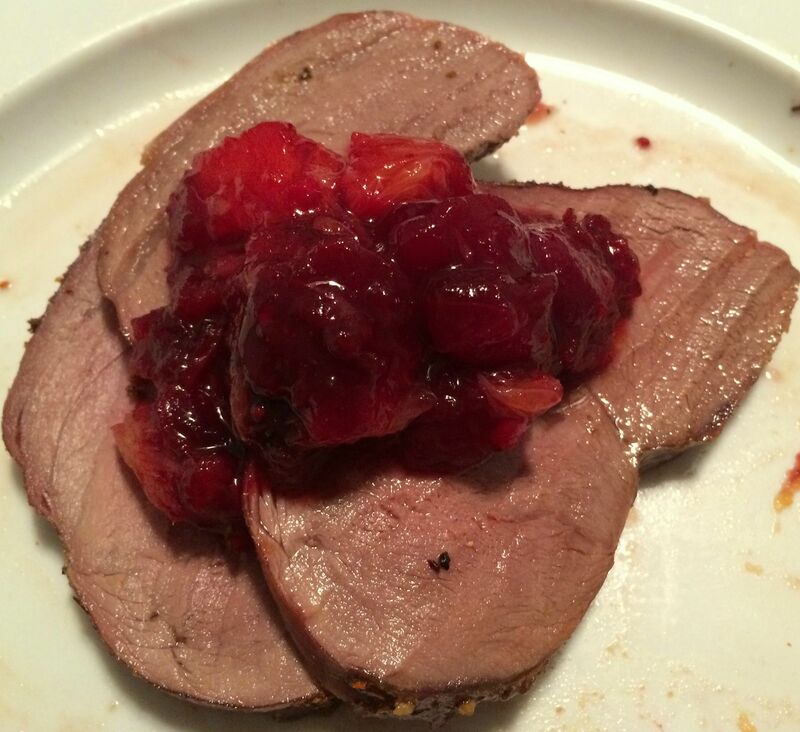 Venison with cranberries is a good idea. And that pie looks great. 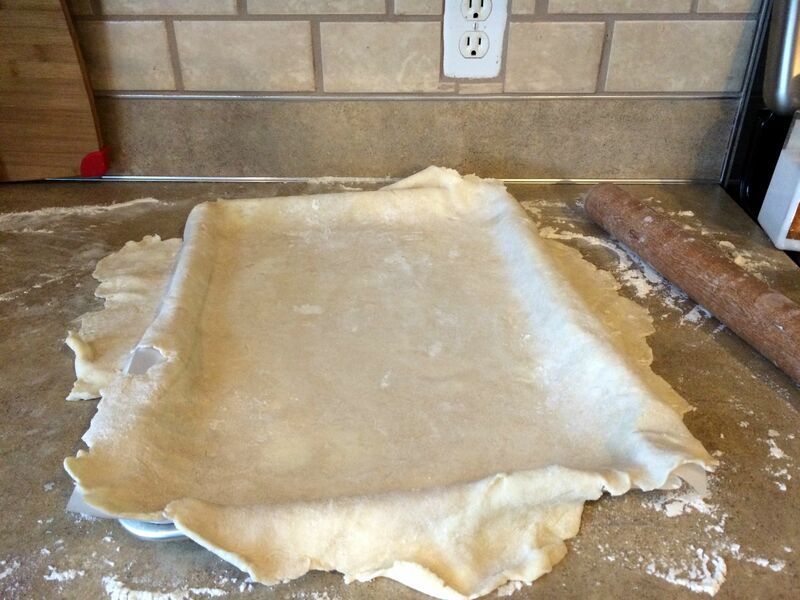 I've been seeing a lot of recipes for slab pie recently, so it's nice to see it in action. Just so you know, I voted for you! You got points for promptness, and venison. 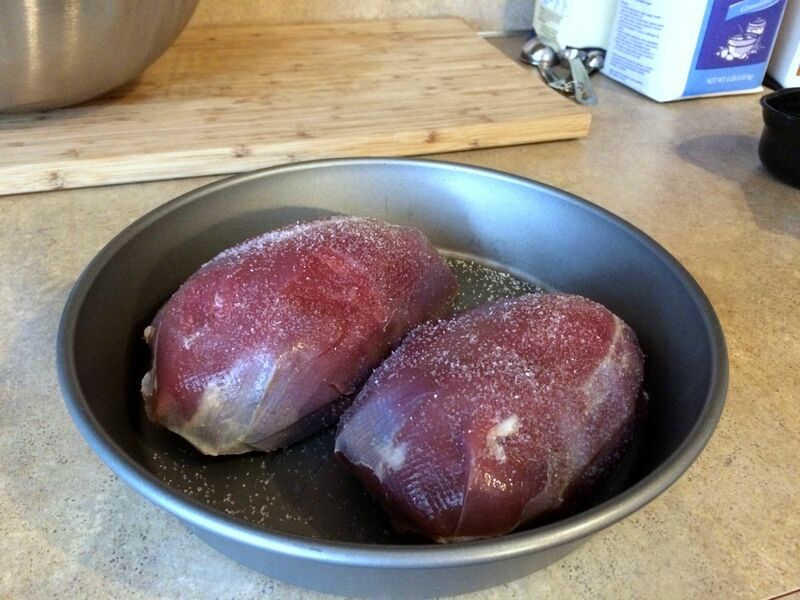 Venison is always points.